Get free shipping on orders over $25! 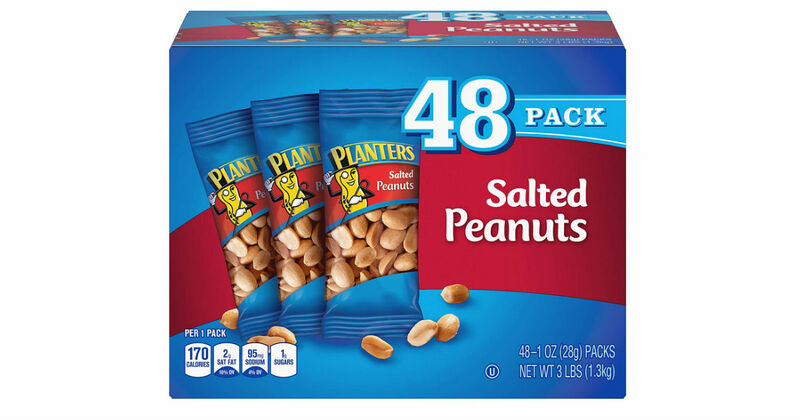 Head to Amazon to get this 48-Pack of Planters Salted Peanuts for only $7.44, that's just $0.15 per pack! Prime members receive free shipping, otherwise free shipping starts at $25.